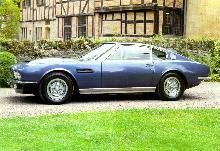 Aston Martin finally launched the DBSV8 at the end of 1969, after a longer than anticipated development plan. The wait was obviously worthwhile as the engine is still in production today, albeit in heavily modified form. The new twin cam V8 engine produced a staggering 375bhp in standard form, enough to propel the car to a top speed of 160mph, unbelievable for an early 1970s car weighing nearly 2 tons! 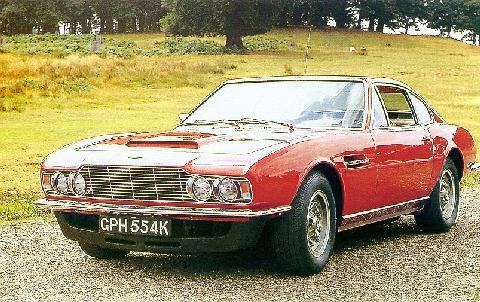 Made only as a Saloon the DBSV8 can be identified by its twin headlamp grille and cast aluminum road wheels, which replaced the DBS 6 cylinders wire wheels. 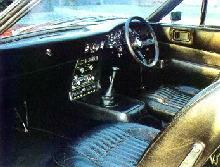 Most cars had automatic transmission although a manual ZF gearbox could also be specified, this manual box suffered because of its heavy clutch. 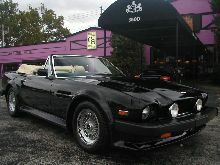 An important car in Astons history that offers real super car performance in an almost transatlantic way. 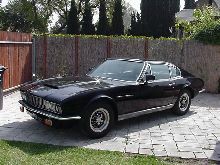 1970 DBS V-8 (right hand drive). 45000 original miles - located in Los Angeles and driven almost daily.